You will find the Tiny Wagons with kitchen units along the inland waterways of the marina. Enjoy the vibrancy of this atmospheric marina with a unique, natural swimming pool by the open water. The yachts offer a beautiful spectacle. A place to remember fondly! 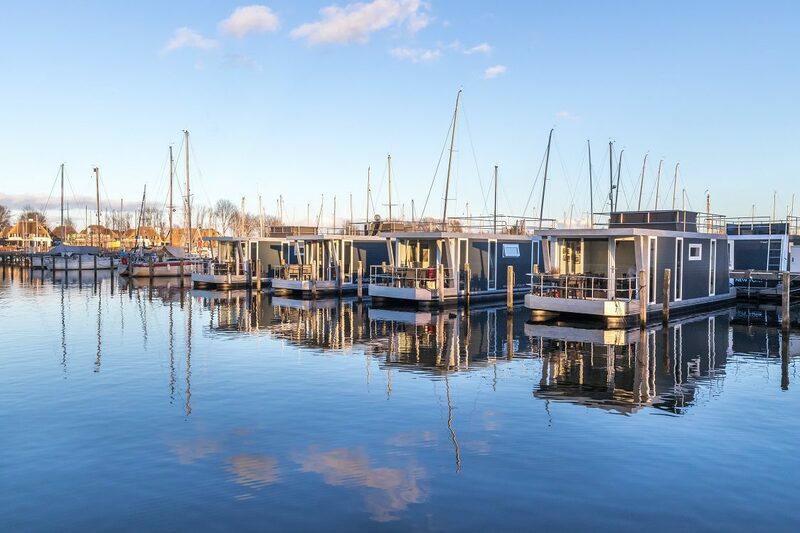 You will find these Tiny Wagons for 2 people with a view over the marina in the pleasant marina of Naarden. There is even a beach near the marina. A Tiny Wagon is a construction trailer that has been converted into a small, cozy sleeping accommodation. It is equipped with 2 beds with mattresses and pillows. The wagon has a double bed and a small kitchenette with a hob, fridge, microwave, and coffee maker. There is a shower and toilet right next to the wagons. There is a picnic table on the terrace. You can use all the facilities of the marina, such as the bbq locations, boat rental, bike rental, launderette (for a fee), free Wi-Fi, and much more! The Tiny Wagons are easily accessible, because there is a bus stop, Gooimeer Naarden P+R, next to the marina. From there, it takes about 30 minutes by train and bus to reach Amsterdam Central.